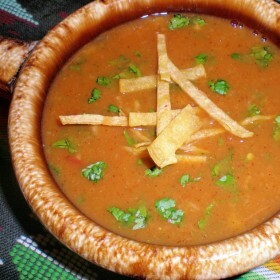 Tasty vegetarian tortilla soup. It'll keep you warm in winter and keep you going in the summer. It even has crispy tortilla strips.